Thiruvananthapuram is home one of the busiest railway stations in the Indian Subcontinent, the Trivandrum Central Railway Station. Every day thousands of passengers arrive at and depart from the Trivandrum Central terminal making it the most crowded station in the Southern Railway Zone. As such the Trivandrum Kochuveli station began handling the superfast express and passenger trains operated from as well as via Thiruvananthapuram in order to reduce rush at Trivandrum Central. A wide number of destinations are served by the trains that run from and via Trivandrum Kochuveli Station, many situated nearby the town and several others at distant locations. 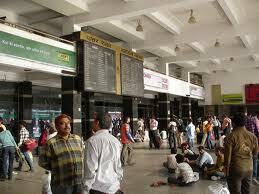 Delhi is one of these major destinations served by the trains operated from Kochuveli Railway Station.